Add a coastal yet traditional flare to your front porch with the Nautical Porch Rocking Chair. This classic rocker pairs well with a variety of home styles and features a comfortably curved seat. Add a coastal yet traditional flare to your front porch with the Nautical Porch Rocking Chair. 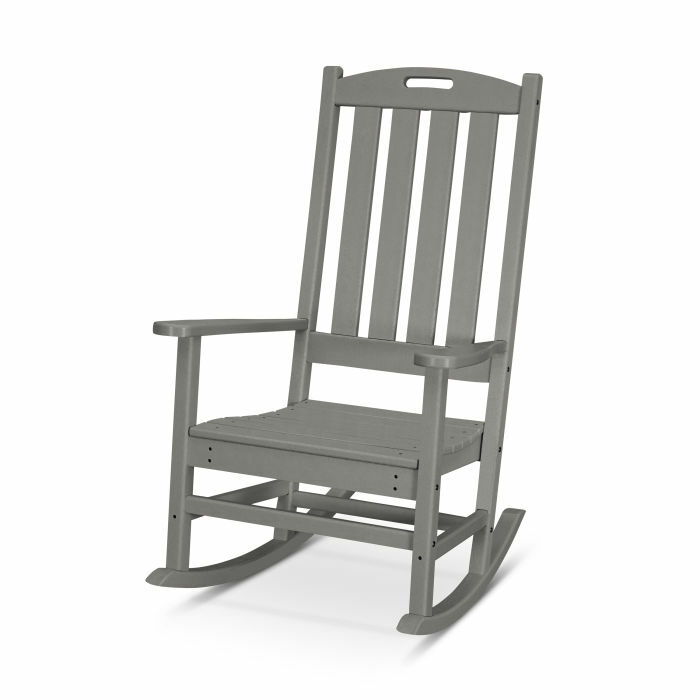 This classic rocker pairs well with a variety of home styles and features a comfortably curved seat. Group two porch rocking chairs together with any of our all-weather side tables and easily create a coordinated outdoor space with the rest of the Nautical Collection.